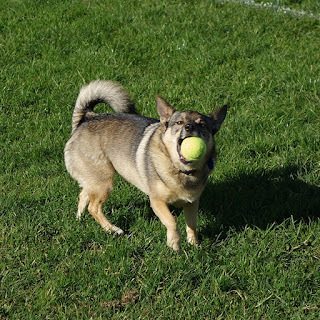 I like fetching ball very much especially in the park as I might get attention from talent scouts. I dream of being one of those ball girls in big, big tennis matches like Wimbledon or French Open. Anyone out there, if you’re interested please contact my mum for CV. I am so good at catching ball you know…and I love people. Yes, people, bring them on! Vann’s Birthday Cake or Is it a Dalek?